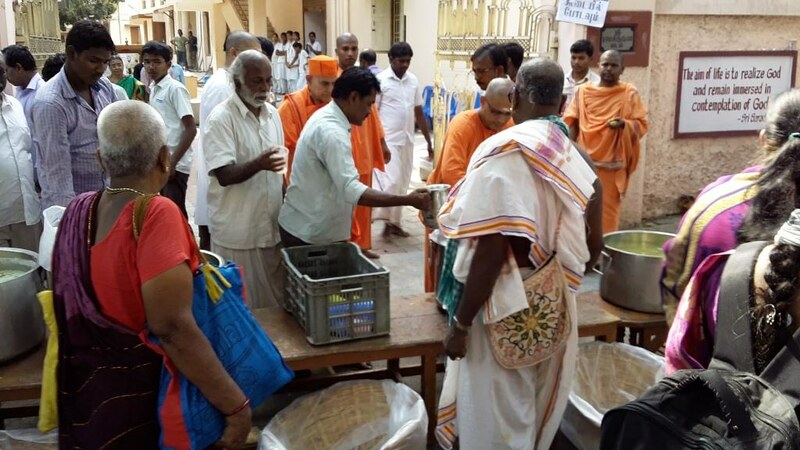 The 10 days Annual Festival of Sri Kapaleeswarar Temple was held from 22 to 31 March 2017. 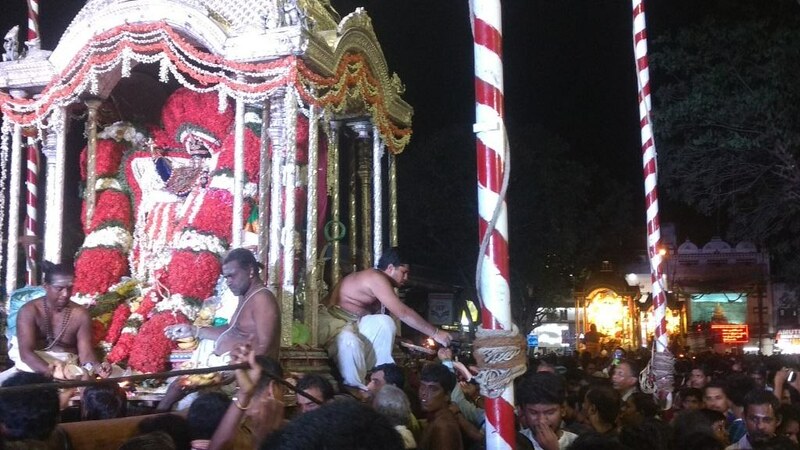 The main events which attract more than a lakh devotees were the Car Festival (7th day) and the procession of the idols of 63 Saivite Saints (8th day). 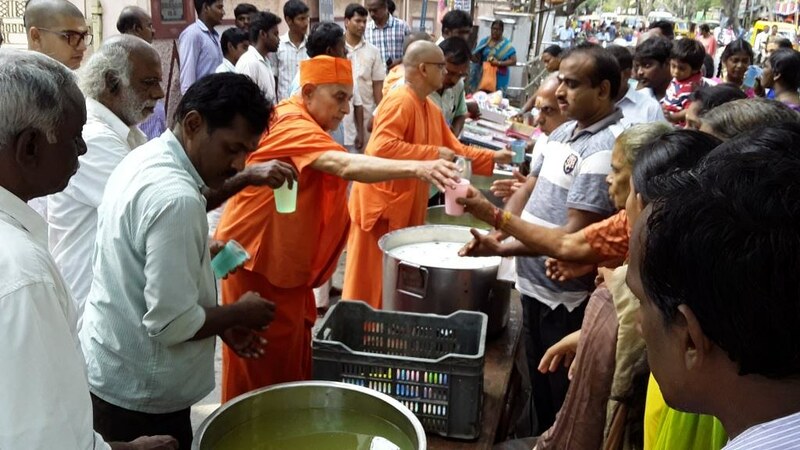 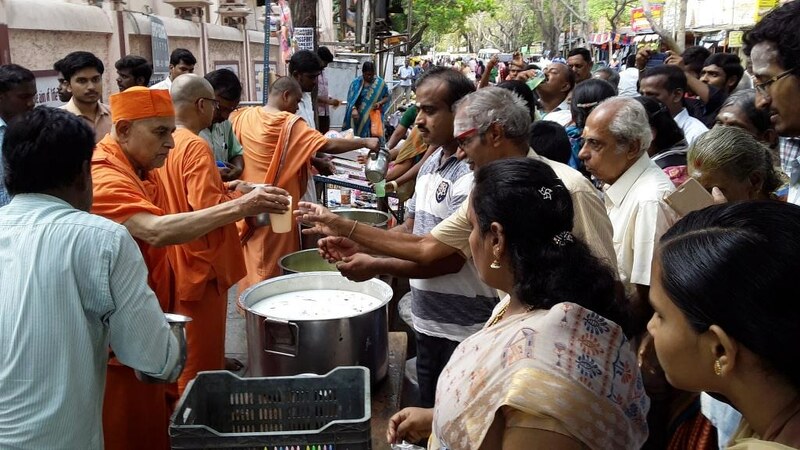 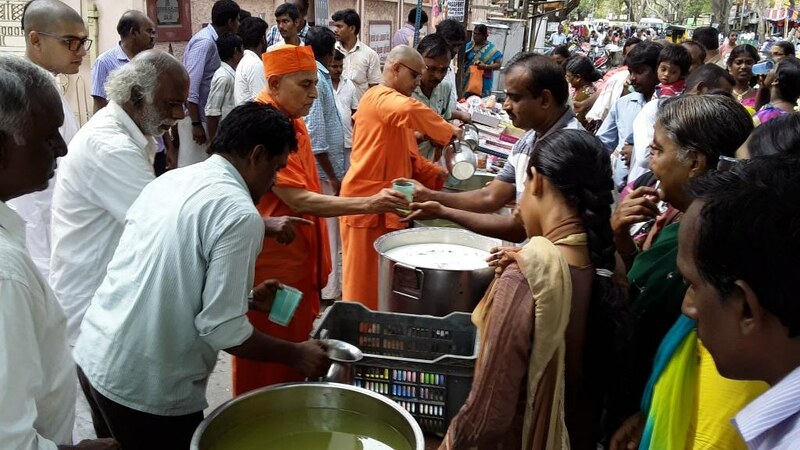 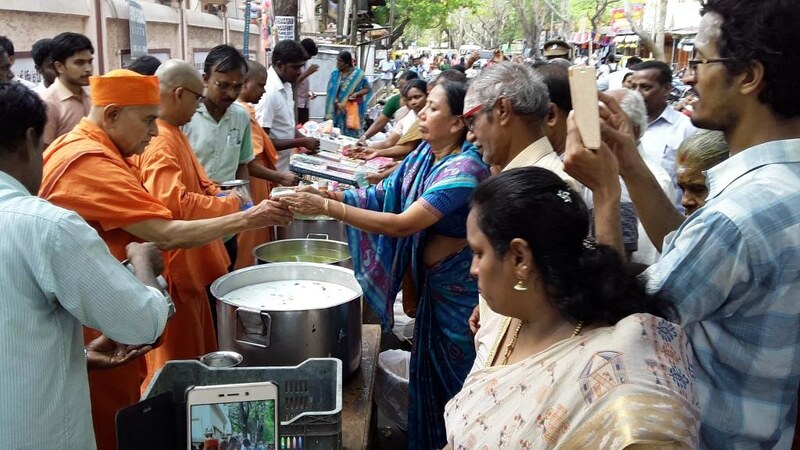 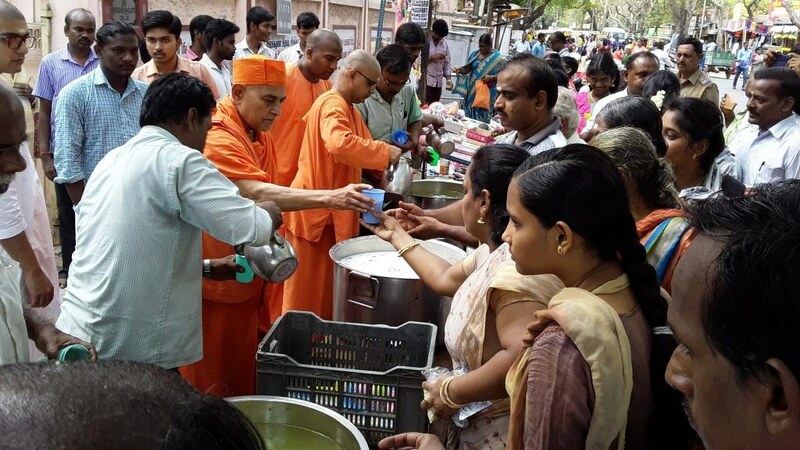 Sri Ramakrishna Math, Chennai, distributed buttermilk and Sherbat to more than 20,000 people on those 2 days. 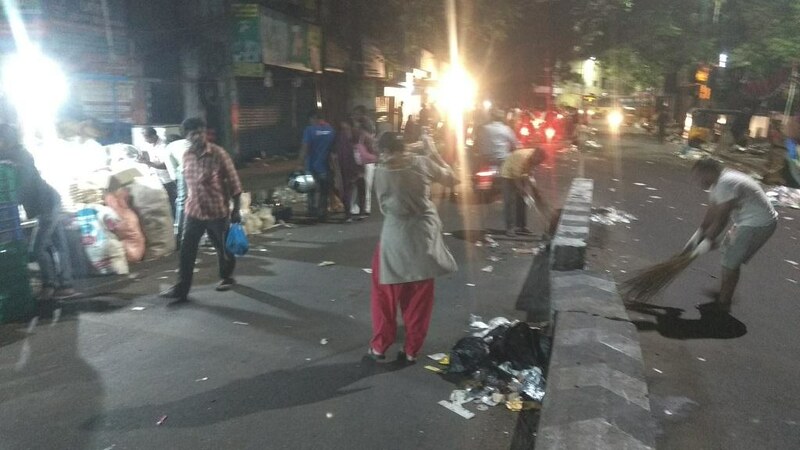 After these events, waste was strewn all around the area including the road in front of the Math, resulting in accumulation of huge piles of garbage. 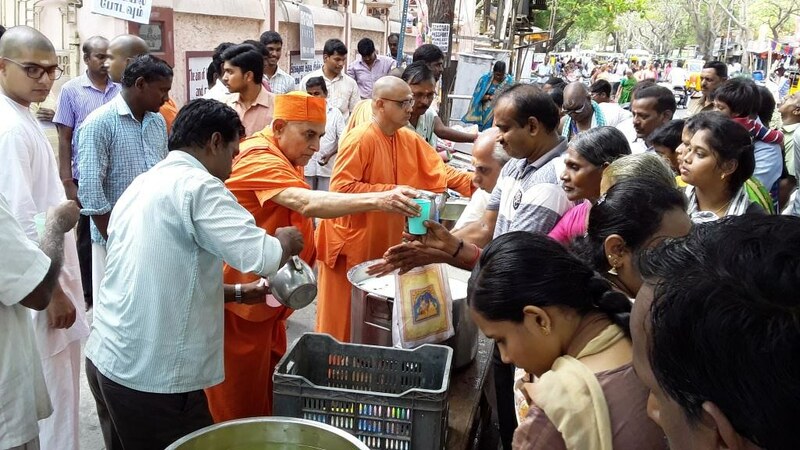 The Chennai Math took up the task of cleaning the 4 streets around the Kapaleeswarar Temple and the surrounding areas. 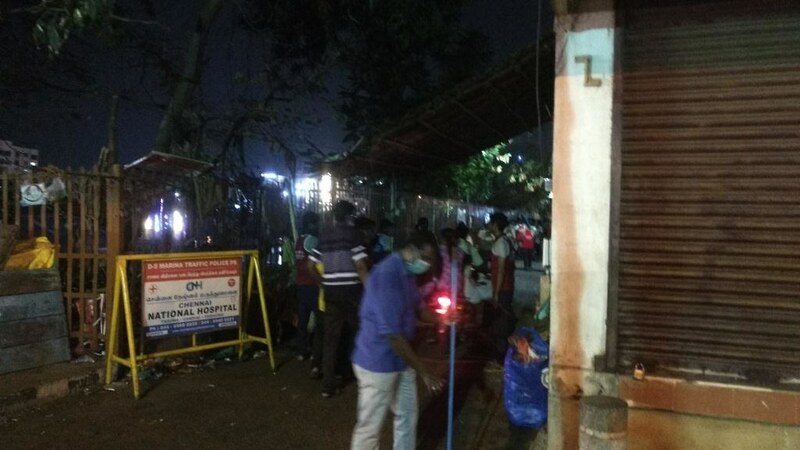 Monks, Brahmacharins and around 40 volunteers of the Math took part in this cleaning campaign from 10.00 pm on 29th March till midnight.